Start spreading the word about Speak Up to your community! 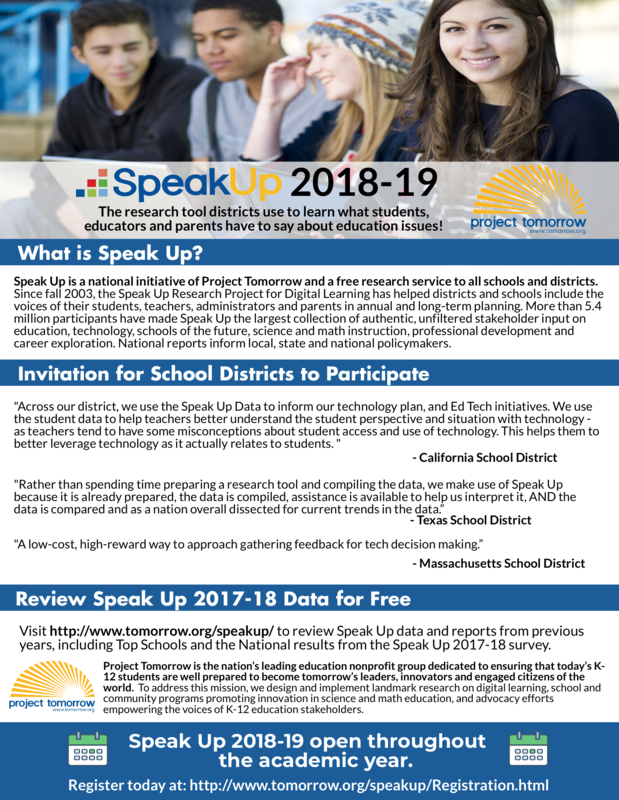 Share this speak up flyer with your staff, parents and local community members. 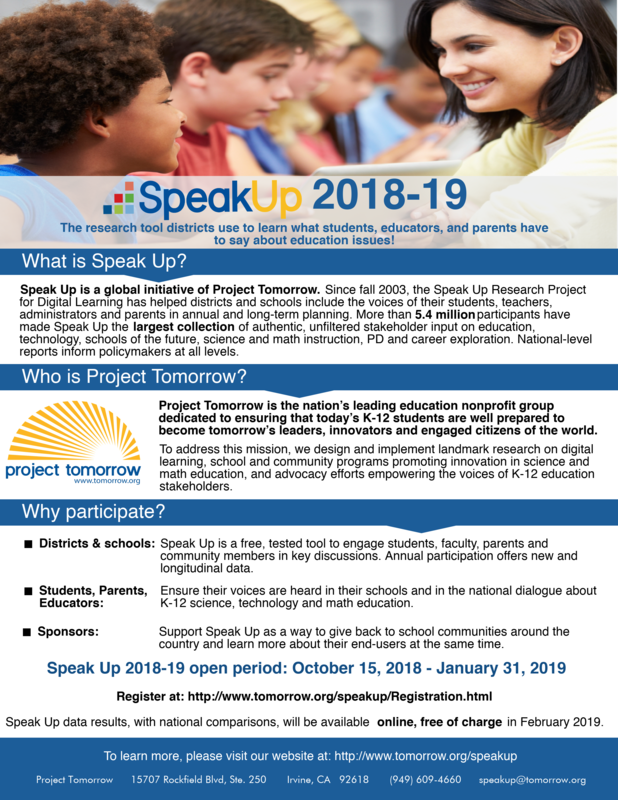 Provides background information on the Speak Up Research project, available audience types, question topics and benefits of participation. Also a great email, newsletter or email template!